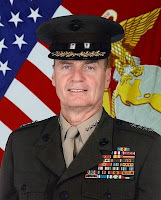 President Obama has directed that the White House Homeland Security Council and the National Security Council be merged with the combined staff of about 240 personnel reporting to National Security Advisor General James Jones, USMC (Ret). This is prudent recognition that the dangers facing our country no know borders. The action should have the effect of increased information sharing among staff members and perhaps a more cohesive approach to security issues overall. A key question that should be raised is: how will the new and improved organization address information engagement issues across the board? It is reasonable to assume that the NSC has a Strategic Communications representative and it is clear that the Press is a critical component of the Homeland Security Council. At issue is how information will be crafted and distributed under this new approach. The Department of State is the lead for Public Diplomacy, but often lacks the resources and reach to exert information influence in many parts of the world where conflicts exist. On the domestic front, Department of Homeland Security will work with the Federal Emergency Management Administration (FEMA) and coordinate incident response using the National Incident Management System (NIMS). Neither of these two organizations have the robust resources that DOD has to deploy under the kind of exceptionally adverse conditions that would exist after major natural disasters or terrorist attacks. It would appear then the some real work needs to be done to fold DOD resources into the NSC/Homeland Security mix. This work entails more than the development of contingency plans, but has to include a modicum of training for PSYOP and PAO personnel and will have to run across Active, Reserve and National Guard Forces. Furthermore, the kinds of holistic responses that may be required may also need to employ contingency commercial resources that need to be identified and trained beforehand as well. Given that DOD is still working out the kinks of how PSYOP and PAO will work together, watching the new and improved NSC unfold will be interesting. Let’s hope the equipping, planning and training takes place before any negative incidents. In news of the PSYOP Regiment I am pleased to report that the Awards Board for the McClure Award for PSYOP Excellence and Achievement met on Monday, May 18. Four nominees have been forwarded up the chain for the Gold Award. The Gold Award is the highest award level and is given to recognize lifetime achievement. Assuming all goes as planned the first awards will be presented at Fort Bragg during PSYOP Regimental Week scheduled for 1 – 5 June 2009. I am attending Regimental Week. I'm considering expanding PSYOP communications to include occassional "Tweets". I'd appreciate feedback from readers to see if they're on Twitter. Many of you are familiar with the technique “Management By Walking Around”. Essentially it is a style of leadership where the manager learns ground truth through conversation and observation by walking among his workers. I was having a bit of trouble figuring out what to post this week while I’m up here in Idaho grandchild and grand dog sitting. After delivering my charges to their various assignments this morning, I decided that a little PT (Physical Training) was a good start. Since my knees no longer allow me to run very much I figured a walk to ‘town’ for breakfast was in order. I’ve never clocked the distance, but I think it’s about 1 ½ miles each way. While I’m no mentalist, I am able to observe and analyze what I see. On my way the first item of interest was that the school crossing guard at the elementary school was a Native American – not common in Silicon Valley, but certainly so up here. Next I noticed that even this little town (population 4,000) has a 9 hole golf course even though the season must be relatively short. When I arrived at my usual breakfast spot I noticed a couple of groups of Caucasians (or as we used to say in New York, coffee klatches). One group had about 8 ladies in their 50s – 70s, a second was about 10 men ranging in ages from late 50s up. Yesterday I learned that the local soda fountain (yes it really is a soda fountain) has sociologically assigned seats in the morning as well. Apparently the breakfast group is a local institution. On my way back from breakfast I stopped into a Panderia where the signs were only in Spanish. I’m a bread and pastry lover so it made sense for me to explore. Bread and cookies are baked daily (bought 2 for my guests) and viernes is sale day with 3 cookies or bread items (except jalapeño rolls) for the price of two. I also noticed a woman in her early 40s holding a Neflix envelope. My point in the travelogue is that there is no substitute for being on the ground. Direct communication to local groups is a critical tactical PSYOP task/skill. In this case my limited walkabout would have yielded information about when and where to meet a number of groups almost simultaneously. It also gave me some insight into language (I had to remember what day of the week is sale day), ethnicticities, and media . This type of analysis is relevant whether in a rural village or a city block and is the foundation of building confidence with the local population. McChrystal in Afghanistan: PSYOP Watershed Event? LTG McChrystal appears to be the ultimate SOF warrior. He has zero body fat, eats only 1 meal a day, disdains sleep, works his staff hard and can adapt in unconventional ways. Considered a success at hunting down and killing high profile targets, the general also got high marks for recasting the Joint Staff to make them more responsive. PSYOP forces are from split organizations. The 4th PSYOP Group, the only active duty group supports the Special Operations Forces (SOF) while the 2nd PSYOP Group and the 7th PSYOP Group, both USAR, support conventional forces. This bifurcated chain of command has led to differences in training, preparation and equipment. Further, the operational tempo has been merciless with USAR PSYOP Units re-deploying after only 18 months at home. In previous postings I’ve maintained that Afghanistan is nothing like Iraq. Key differences include Afghanistan’s rural dispersed nature and its history of repelling invaders. The pocketization of the Taliban and the porous Afghan/Pakistani border add more differences. Another difference is that PSYOP must be localized and continuous and that there does not appear to be a means to apply a uniform effort across the country. Successful PSYOP in Afghanistan will nurture local relationships and bring to bear other aspects of state craft to sway the local population. What does all this mean for LTG McChrystal? First of all his new and invigorated staff will have to put a higher degree of emphasis on non-lethal, unconventional planning. They will have to orchestrate all of the elements of support (military, political, economic, Informational, etc.) in multiple simultaneous efforts. Given the limited nature of PSYOP forces, these activities will require assessing PSYOP forces across the AO and perhaps adopting a more homogenized approach in their employment. An approach that considers all PSYOP forces capable of executing their missions and one that seeks to bolster the weaknesses of part of the force with the strengths of the balance of the force. Lessons will need to be learned quickly and immediately assimilated into training, tactics and procedures. In addition it may be necessary to beef up the pace of equipping the PSYOP forces in Afghanistan with COTS products that can be employed effectively in a distributed fashion and that provide quick response capability. Unless LTG McChrystal quickly endeavors to level the PSYOP force capabilities he will find that he will have untoward difficulties in his accomplishing his mission. Getting hit in the media can sometimes have more long term negative effects than physical casualties. The recent credibility debacle arising from airstrikes in Afghanistan is disturbing on many levels and a very good – bad example. First of all CDR, especially senior ones, should know that, unlike wine or chicken soup – bad news does not get better with age. CDR should also know that sooner or later the ‘truth’ will come out. Consequently it makes sense to know where your bombs are landing and to be ready to admit when things going awry. Commercial Public Relations (PR) experts will advise to get out in front of the event and take the moral high ground. Admit what happened, take responsibility, describe how you will help to set things right and then detail the steps you are taking to make sure it won’t happen again. Of course this has to be in the context of not giving the enemy the feeling that you are abandoning the weapons systems and conveying that you won’t hesitate to bring air power to the fight whenever necessary. According to the article the US has missed a critical deadline for commitment and there is grave concern that the US pavilion will not be built in time. The expo and its mascot featured in the accompanying picture is expected to attract 70 million visitors during its 6 month life span and is being compared to “World’s Fairs” of the past. (official site: http://en.expo2010.cn/ ). Secretary of State Clinton has weighed in to the fray saying "I believe it is crucial for the United States to be present along with the other 180 nations participating in this major global event," Clinton wrote. "The U.S. presence at the Expo will showcase American business, culture and values in China's most dynamic city and foster an even stronger friendship between the American and Chinese peoples." Interestingly enough the Secretary’s position is that she doesn’t want USG money, nor does she want to take money from the Chinese. It is hoped that commercial organizations will help fund the project to ensure US representation. The ability to strut one’s stuff in front of an estimated 70 million people should make commercial mouths water and one wonders why that is not the case. Having purchased hundreds of thousands of dollars worth of marketing services while I was at Symantec I can only conclude that potential sponsors haven’t been able to connect the dots from showing off to sales. Nothing stimulates corporate action more than the prospect of juicy revenue. Nothing except perhaps saving money. Secretary Clinton might consider working with Congress to pass some special tax incentives that would benefit sponsors through reduced taxes. Clearly a President as intellectually astute as President Obama recognizes the long term benefits of this exercise of soft power as a way to showcase positive aspects of “American business, culture and values” as noted by Secretary Clinton. While the expo is not the province of PSYOP or DOD it is indicative of the synergy Public Diplomacy and soft power can play on the world stage to bolster the American image. The NY Times has been covering the Afghani popular backlash against American airstrikes blamed for the deaths of civilians. (see http://www.nytimes.com/2009/05/08/world/asia/08afghan.html?_r=1&ref=world) Photo from the article. Protests erupted in the western province of Farah. The protests in turn spurred police response and generated support from some local government officials. The US government admitted that there were airstrikes but balked at responsibility for the civilian deaths. · Popular support will be even more important as more troops pour into Afghanistan. · NATO forces ought to know where they bombs are falling and ought to be able to estimate the people and property damage to be expected. · The local population appears to want to believe that the Americans are always the bad guys. · Declarations of regret are nice but have no local effect. · Joint investigations will take some time delaying their impact and their credibility will be in doubt unless they have insured local credibility through local leaders. · Air strikes are common enough phenomena that the USG must have a proven SOP for dealing with their actual and perceived harm. This SOP needs to stress information engagement tailored to the local area. · Technology should be employed with the entertainment value of the TV series. I would envision a Lawrence Fishburne or Dennis Haysbert type authoritative figure narrating a simulation that shows how the bodies were created by a Taliban attack. This computer imagery would be employed in the local area and if appropriate made available to regional and international media as well as on YouTube. · Print versions of the simulation with local language translation should be made available. If there is no written local language then audio (like greeting cards) should be used.